Keep calm and swipe the cats! 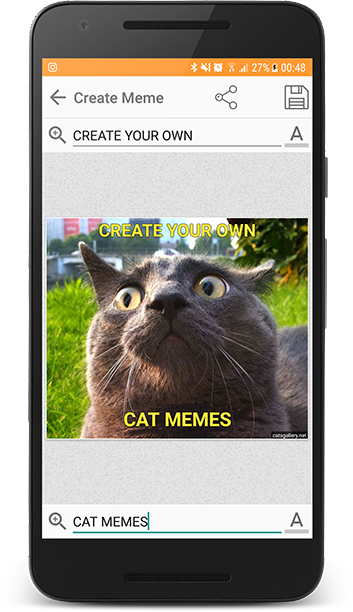 Create funny cat memes and share with your friends. 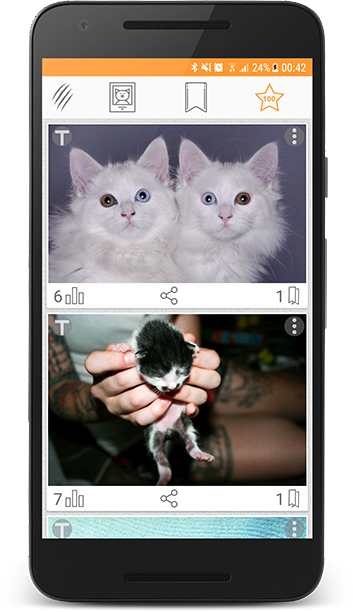 Get endless gallery of cute cat and kitten pictures, photos, funny images, GIF animations as well as meme editor in one app. 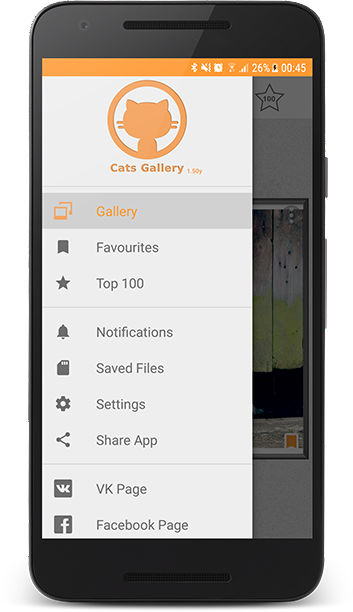 Favorite or download any cat arts, follow live "Top 100 Cats" ranking page, create your own cat memes and share them with your friends in social networks and messengers in just one click! 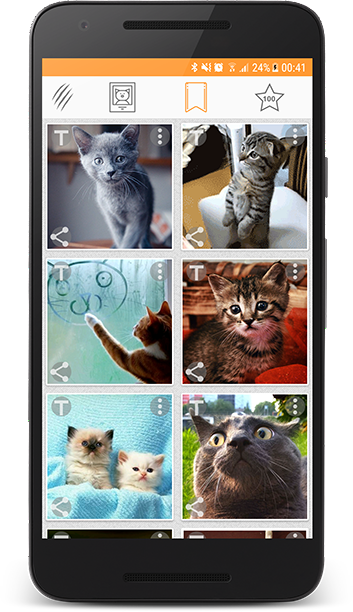 Additionally you can receive interesting news and facts about cats. 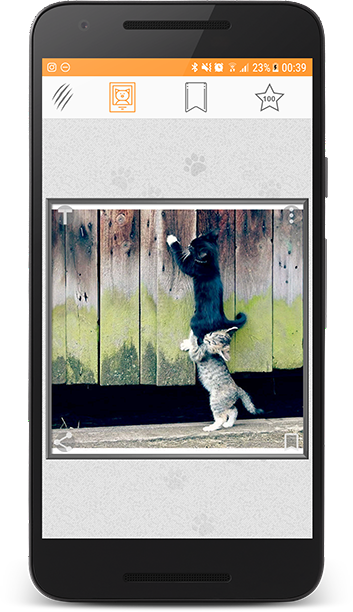 Cats Gallery uses a huge and regularly updating cat arts database to provide you with loads of amusing, cute and funny cat or kitten pictures, photos, GIF animations and memes. Copyright (c) 2018 Step Software.